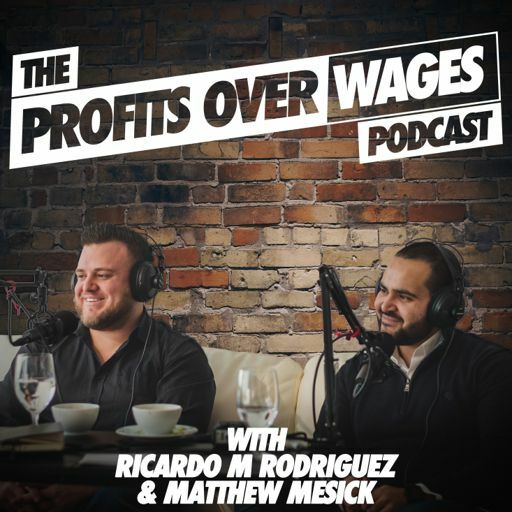 On Episode #32 of the Profits Over Wages Podcast we talk to Jeff Schechter aka “Shecky”. He has been a self-employed entrepreneur his entire adult life, starting his first business right out of college, and over the years has developed expert sales and marketing skills. Shecky first started investing in real estate in the 1980’s when he began flipping homes that he lived in. In 2016 he co-founded High Return Real Estate. High Return Real Estate is a turnkey real estate investment company in Indianapolis that helps the average person realize consistent 12-18% returns with fully-rehabbed, hands-off, professionally managed, turnkey residential rental properties. HRRE was founded with the belief that real estate investors shouldn’t have to spend a lot of time and money learning and implementing all of the steps necessary to have a good cash-flowing property. HRRE has been featured on CNN, NBC News, BBC, FOX, Google News Lab, and Forbes. Shecky also co-hosts a podcast - The High Return Real Estate Show. In addition to investing, Shecky also operates a private consulting practice.